The sophisticated yet fun styling of the Gallotti & Radice Audrey Armchair is sure to raise a smile. 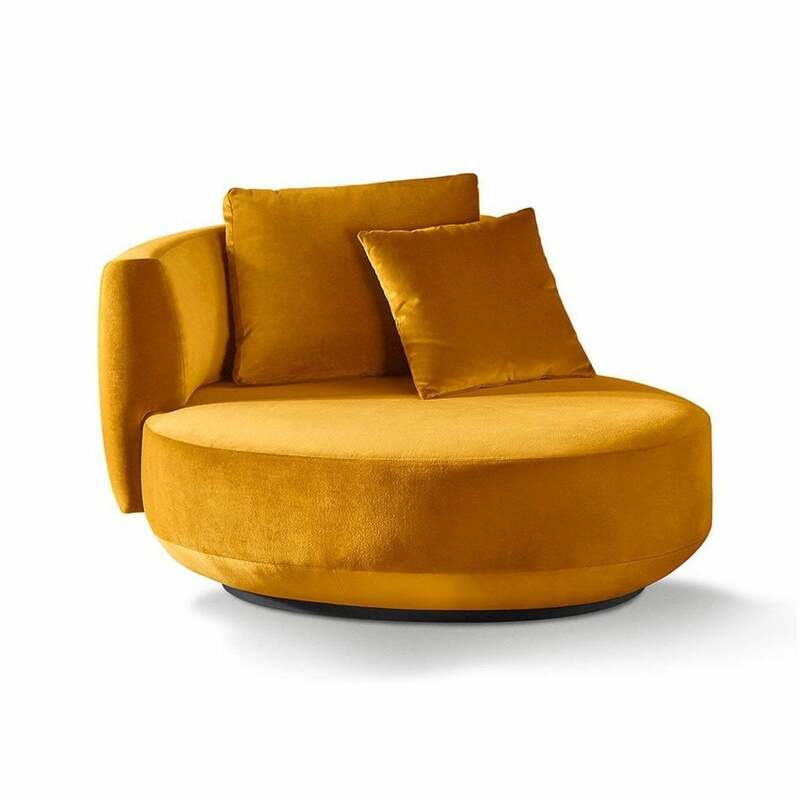 Beautifully designed, this modern contemporary swivel armchair is available in a sumptuous range of fabrics and colourways allowing you to create a bold design statement in any luxe contemporary interior. From modernist apartment to luxury yacht, everyone will be queuing up to sit and relax in the Audrey Armchair at the end of a long day. Team with the Gallotti & Radice Audrey Sofa to complete the look. For more information about the choice of available upholstery fabrics and additional decorative cushions for the Audrey Armchair please contact our team.